In a few weeks, I’ll mark my 25th anniversary of hauling back and forth from NERW-land to Indiana to visit the in-laws. And yet, somehow, there are still a handful of stations in the Hoosier State I still haven’t visited. The summer of 2015 brought another opportunity to chip away at those holes, and so with the help of Indiana Radio Watch editor Blaine Thompson, we headed west one morning to say hello to some friends along the south shore of Lake Michigan. Our first stop was in La Porte, 50 miles or so east of Chicago and not far at all from the Michigan-Indiana line along the lakeshore. This area listened mostly to Chicago on the radio until just after World War II, when two local AM signals appeared in quick succession: WIMS (1420) in nearby Michigan City in 1947, followed in 1948 by WLOI (1540) here in La Porte. 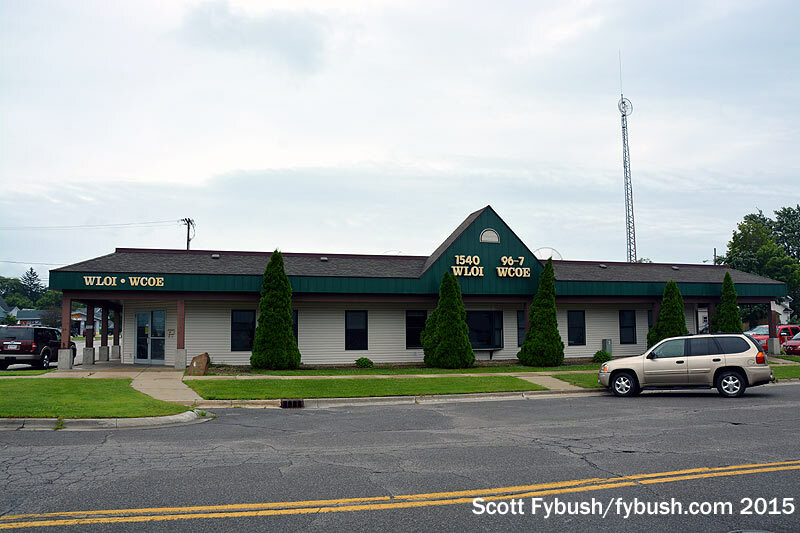 WLOI added an FM sister at 96.7 in 1964, later renamed WCOE for the Coe family that owned the stations. 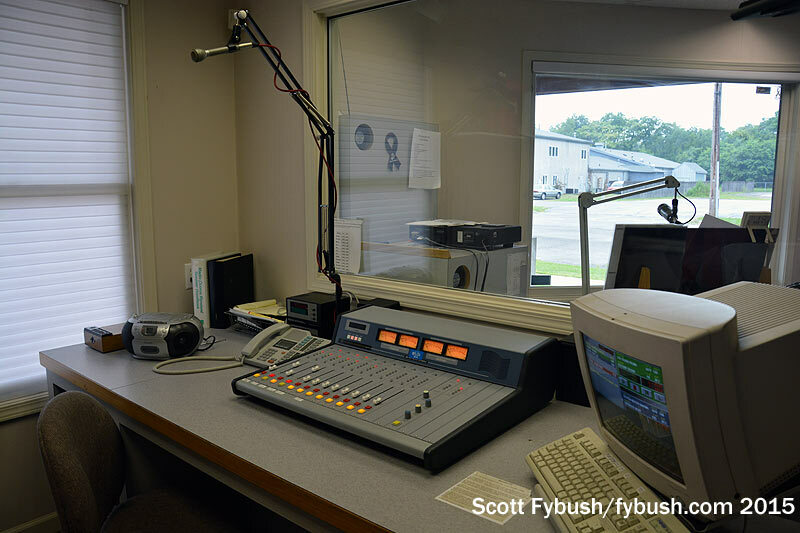 Today, both stations share a spacious studio complex at 1700 Lincolnway, just west of downtown La Porte and just south of the lakes that dot the landscape outside the city. 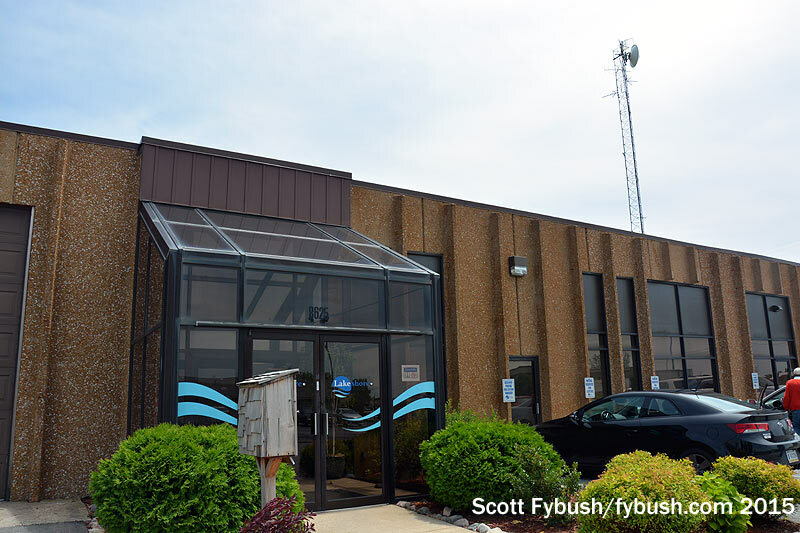 WCOE does country as “The Eagle,” while WLOI runs satellite-fed standards, but there’s a heavy diet of community connection on both stations, too. GM Dennis Siddall is also the morning man on WCOE, hosting a stream of local leaders for his “Breakfast Showcase” out of a talk studio next to the main corner studio complex for WCOE and WLOI. 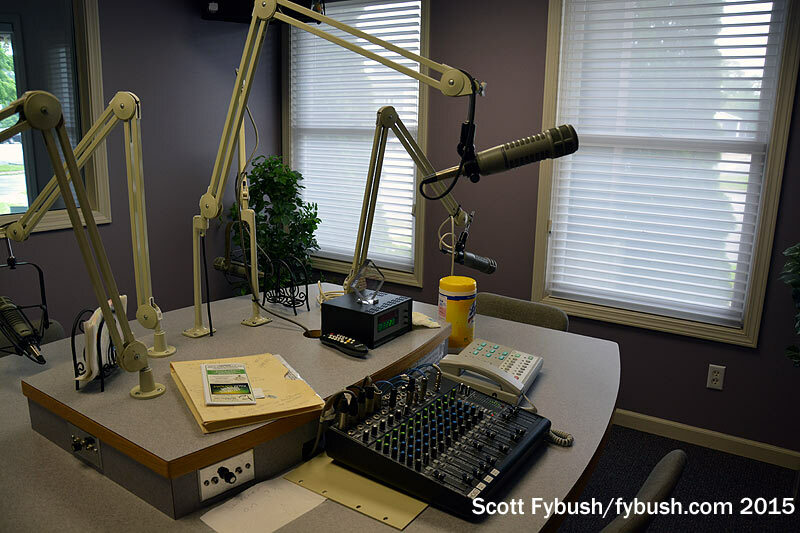 And both the AM and FM simulcast “Sound Off” later in the morning. 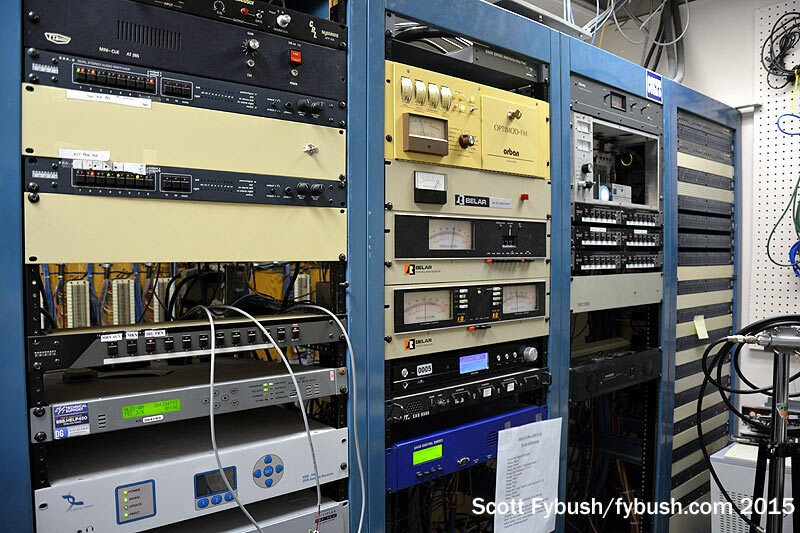 That fairly basic rack room handles everything for both stations, including the STL that points north to the shared AM/FM transmitter site a few miles away on the north shore of Pine Lake. We didn’t get there on this trip, which means another trip to this part of Indiana will be in order sooner or later to see that site, as well as to visit WIMS over in Michigan City. Our next stop is at the other end of the northwest Indiana megalopolis, 40-plus miles to the southwest in Merrillville, where I-65 between Chicago and Indianapolis meets US 30, the east-west highway that usually carries us back to Fort Wayne at the end of one of these excursions. 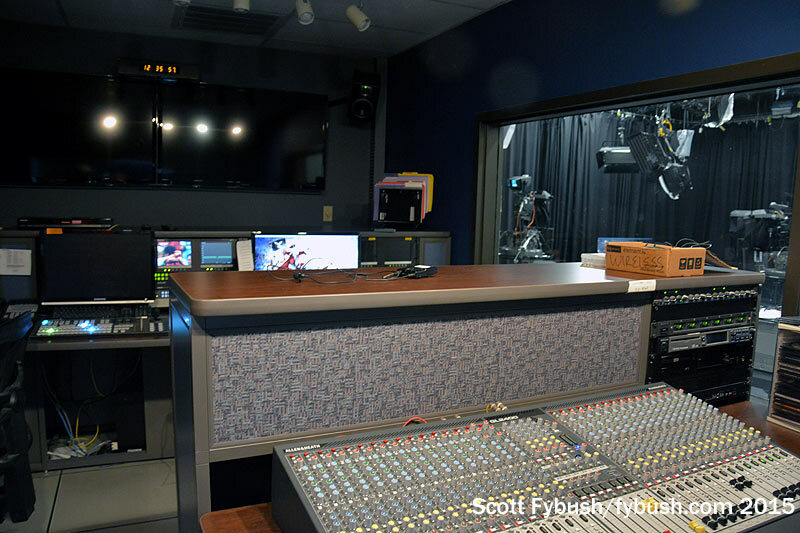 It’s there, in an office park tucked just behind the big shopping malls, that we find one of the more interesting public broadcasting outlets anywhere in the country. 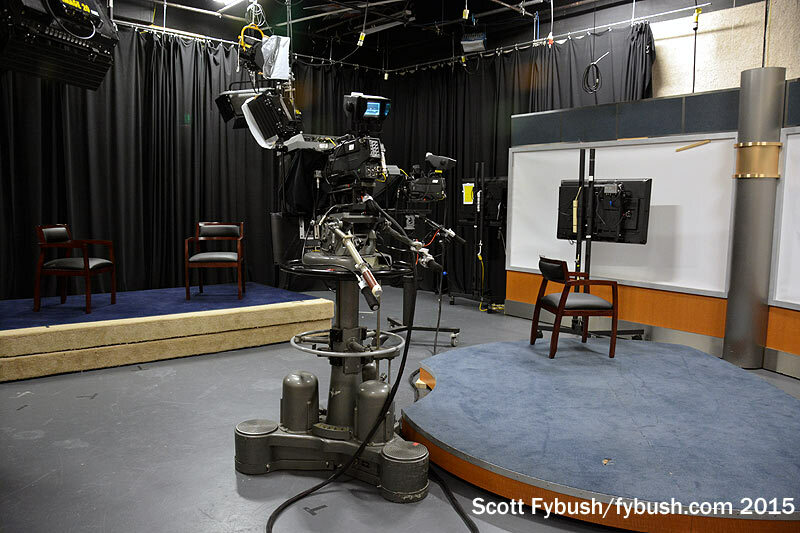 What’s now known as “Lakeshore Public Media” traces its roots back to WCAE (Channel 50), a small school-owned educational TV station that operated from 1967 until 1984 from St. John, Indiana, just west of Merrillville. 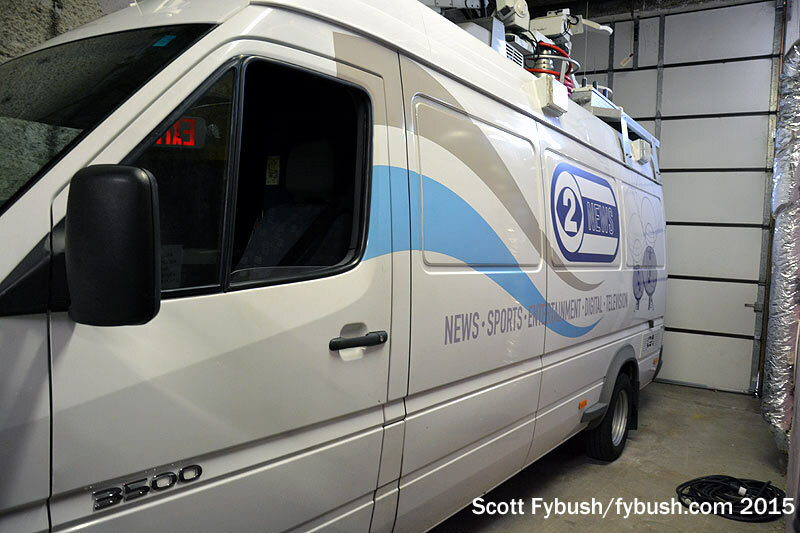 After WCAE shut down, a bit of license sleight-of-hand got the channel 50 allocation moved to Gary and changed to commercial, allowing entrepreneur Fred Eychaner to move his independent WPWR-TV from channel 60 to 50 from a new downtown Chicago transmitter site. 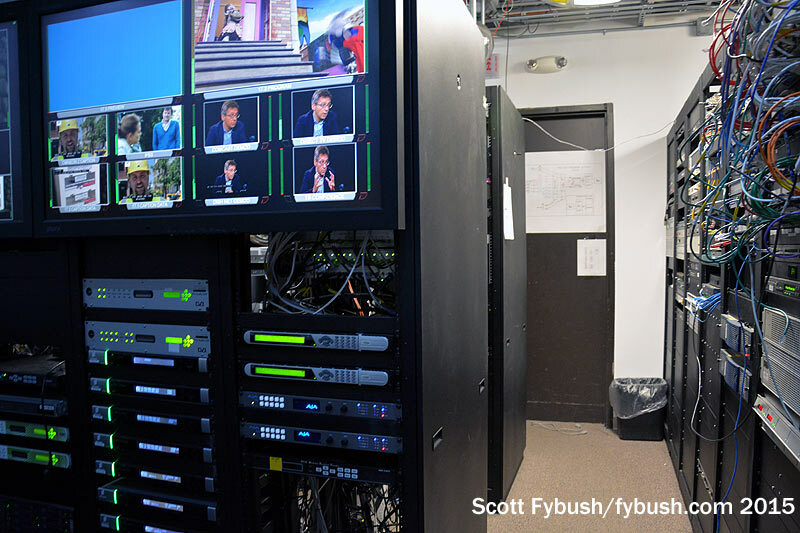 On the other side of the facility, there’s still a newsroom from WYIN’s long history of doing local news for “the Region,” an area that tends to only draw Chicago TV crews when there’s a major crime to report. 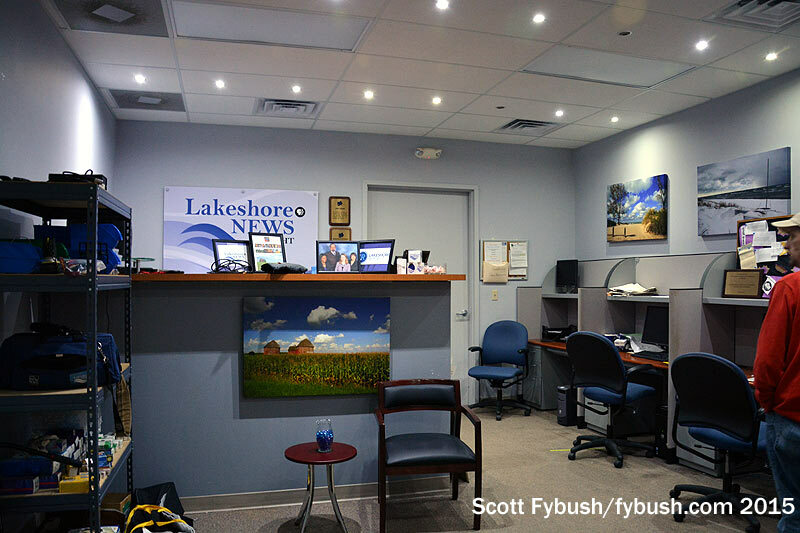 There was daily news here from 1989 until 2014, with a short break in the middle; now, it’s just a weekly “Lakeshore Report” that comes from this newsroom and adjoining production studio. 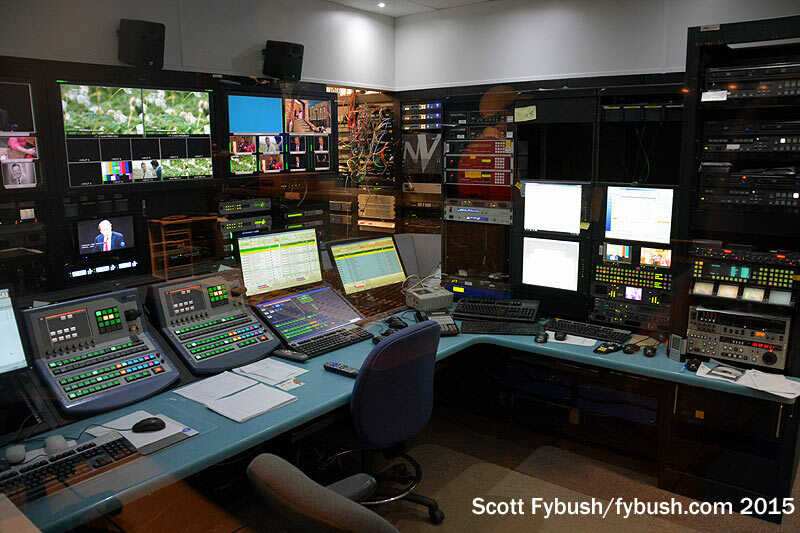 There’s a fairly substantial rack room and master control complex at the heart of this facility, feeding three subchannels out over WYIN’s RF 17 digital channel – the main public TV programming on 17.1, NHK World from Japan on 17.2, and Lakeshore Kids on 17.3. 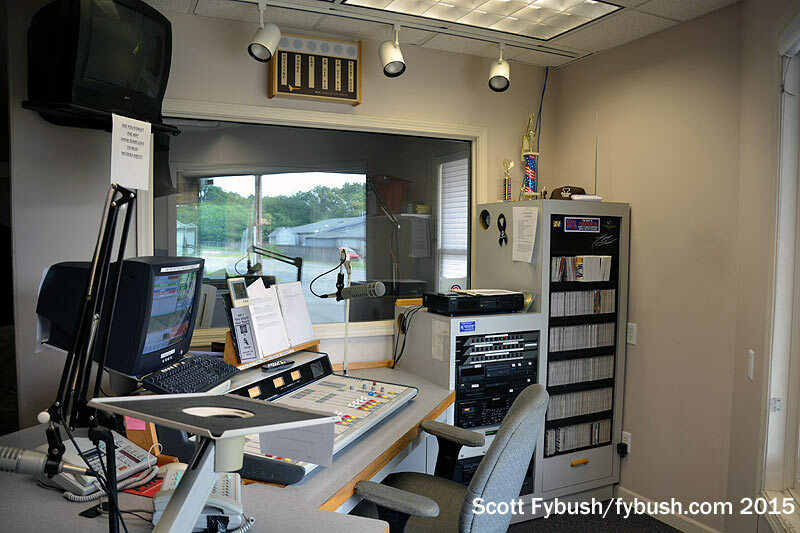 In January 2009, Lakeshore added public radio to its lineup with the purchase of the construction permit of WWLO (89.1 Lowell) from American Family Radio. 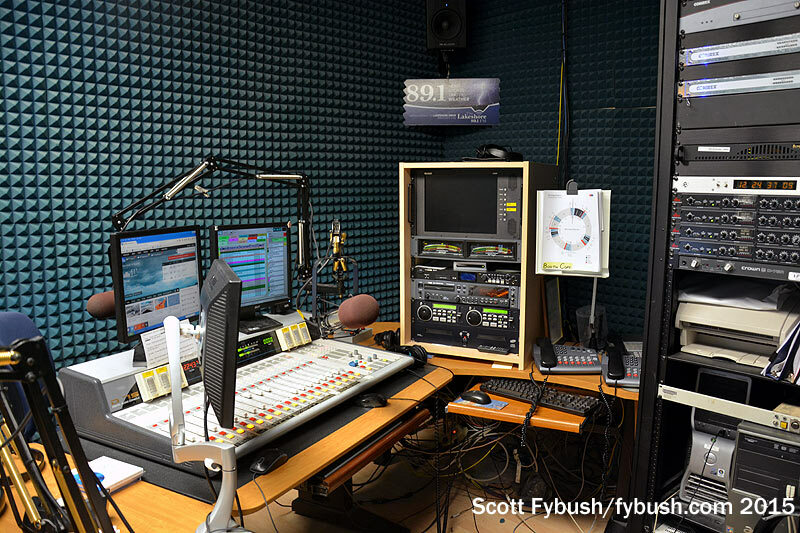 As WLPR, “Lakeshore Public Radio,” it carries a lineup that includes NPR’s newsmagazines and talk shows on weekdays and a music-heavy schedule of public radio syndication at night, all from a studio tucked in along the hallway that leads down to the TV studio. 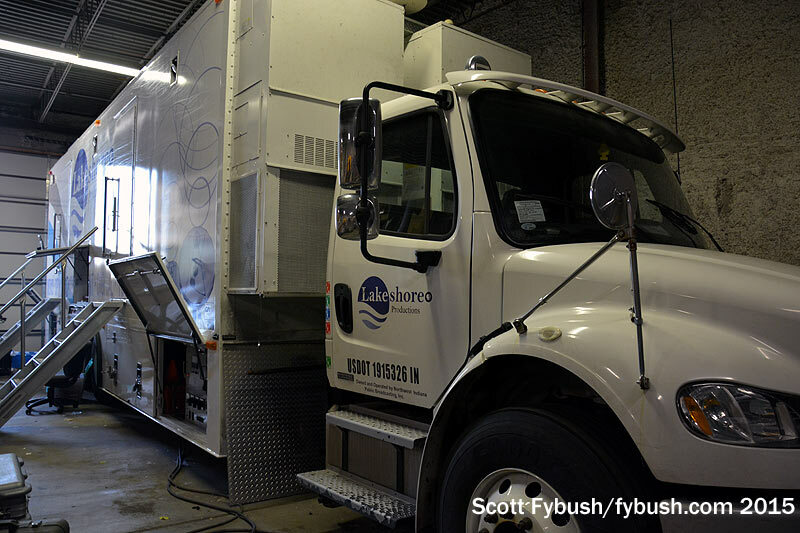 Thanks to WLOE/WCOI GM Dennis Siddall and WYIN’s Paul Strater for the tour!